I know I’ve been talking a lot about astrology lately and how to harness the cosmic energy to expand our brands. But today, I wanted to get back to our roots and discuss some practical business tools and how I came to knowing so much about business. And said roots are strategic web design and development. As you may recall I’ve been designing websites since 2002 and witnessed how websites have evolved over the years not only in design and trends, but how website roles have morphed. It’s through building hundreds of websites that I learned so much about the ins and outs of businesses. From operations, marketing, advertising and branding. Websites in 2019 are now a hub that brings all your omni-marketing channels into one place. When done right, a website is the distillation of the outward facing side of an entire business AND a tool for promotion. And the job of a website, more than being just beautiful, is to attract traffic and then to anticipate a readers questions about your business, ultimately getting them to take some kind of action. But when done wrong, your website becomes a liability. A website is a window into the soul of your business. And if your business’s soul is not clear, you may have a window that is cluttered, out of date, missing crucial info, or just too confusing. And when readers are confused, they will bop on to the next site. What reflection do people see when they look into your business’s window? Is your website now an asset or a liability? Your website is not responsive… meaning, it doesn’t adjust in sizing to different devices like a mobile or a tablet. On average, 70% of all website traffic is viewed on a mobile device. Does your site look good on a mobile? More importantly does it load quickly on a mobile? If not, your website is holding you back. You never send your website to anyone… this is called website shame and it’s a thing. Generally people have website shame because it doesn’t look good anymore, the content is really really old and not relevant, or the content while fresh is all over the place and thus confusing. If you’re not sending traffic to your website, your website is holding your business back. You can’t remember the last time you updated your website… meaning you haven’t added new content, you haven’t even logged in to see if you have any missed comments or messages. Search engines such as Google actually look at timestamps of websites and prioritize sites and pages that are recently refreshed. Google does also look at the creation date of a site or page, that does give it legacy and some priority, but Google also wants to know that the content is up to date. So updating blogs and articles, your portfolio, or even your offerings will increase the ranking of your site. x Your website is holding you back! Your website, especially the home page is so text heavy it’s like reading a novel. People, especially online have the attention span of a fruit fly. If there is more than a couple of sentences in one setting, people will move on. We can’t make people thing. We have to give them the jist of what something is about and direct them to a page with more information where we can write in a longer form such as a blog post or a sales page. But on a home page or a landing page, succinct and catchy is the key. Your website isn’t integrated with any social media. Social media keeps content on your site fresh if you have a feed integrated on your site. And if you’re not using social media to drive traffic to your site you are loosing out on a HUGE opportunity to increase page rankings and of course traffic to your site. A social media strategy that incorporates driving traffic to your site does wonders for your site. If your website isn’t a hub for all your social media channels and you are not sending traffic to and fro, your website is holding you back. You don’t have a freebie or an opt in to get people subscribed to your email list. Email addresses are valuable to owners and people don’t give them away anymore for a promise to subscribe to a newsletter. AND your email list is THE most valuable marketing tool you have as you own this list (vs social media followers and likers, which ever tech company owns that list, and at anytime, said tech company can say, sorry, your account is closed along with all your fans). It is crucial to tend and nurture your list by sending regular and content-rich emails AND to grow your list by trading something of value to your customer called a freebie. A freebie should be fun and easy to use, and be valuable to your customer. And there are so many creative ways to create an inexpensive freebie. It could be a coupon of a product, or a download like a checklist, or a fun quiz, or a cheatsheet or even a compilation of valuable articles you’ve written. Even multi media works like a video or audio training. My freebie is a short 20-min video training. If you aren’t offering a freebie, and it’s not above the fold on your home page, your website is holding you back. Your website is insecure… Meaning you haven’t updated your site in months, you have outdated themes, plugins or worst yet, the core WordPress engine is not up to date. Not only does this affect the functionality of your site but it can make it susceptible to all kinds of malware. Just like the OS on your phone that requests updates because of newly found security holes, your website, regardless of the platform suffers from these maladies of modern technology. If you don’t have a system to back up your site monthly, your website is holding you back. 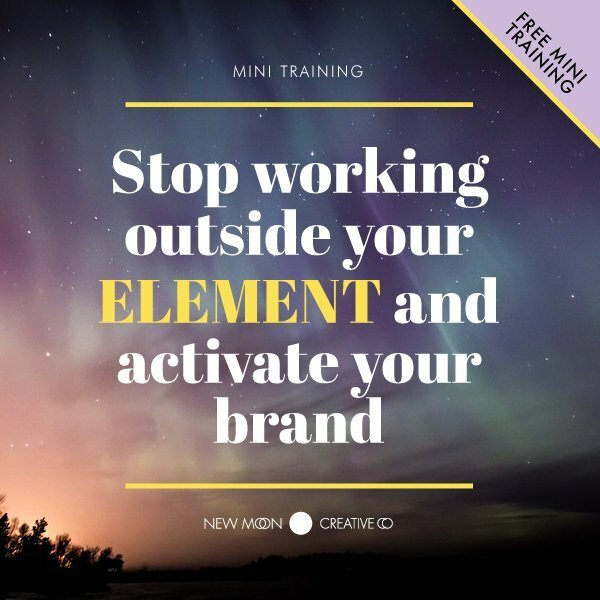 It’s not clear what you do and who you do it for… Meaning if someone can’t tell by just glancing at your home page what you do, who you do it for, and how to work with you, your website copy needs TLC. The way people interact with a website is that they scan for information, so having headings that cue people as to what content is below helps people quickly find what they are looking for. On top of that, direct, succinct language is crucial in allowing people to understand what you offer without making them think. If they read your website and they have to think, your website is holding you back. There’s no photo of you on the front page… Meaning, you’re hiding and haven’t invested in professional photos. One of the jobs of your website is to introduce your business to new customers before they even meet you. And if you are not showing yourself on your business, you are essentially hiding. And when you are hiding, there is an unsaid element of mistrust that comes with that missing photo. Subconsciously, when we show ourselves, when we come out of hiding with our smiling and professional looking photo that is on-brand, we are communicating that we are here for you, we have nothing to hide. We are opening an invitation for people to like, know and trust us before they ever meet us. If you don’t have a photo of yourself on the homepage and other crucial landing pages, your website is holding you back. There is no clear call to action… Meaning now that you got your reader, gave them the information they were looking for, they leave because they weren’t directed to take the next step, whatever that may be. Again with not making people think, we have to be super clear and obvious what we want people to do by having clear instructions called Calls To Action aka CTAs. Whether you want someone to purchase, make a call, forward to a friend, share, respond, book a session, you have to tell them. You can’t assume they will take the next step to go find the page on where they can work with you before booking a call. Give them the link, tell them what to do. If you aren’t, at every opportunity, your website is holding you back. BONUS Your design is outdated… Meaning, would you wear an outfit that was so outdated when you go to an important function that you look like you got stuck in a time warp – and you’re not trying to be stylishly ironic? Looks matter. And website trends change faster than the width of your jean pant leg. So if your website just looks old, you know you have to refresh it with a new design. A good rule of thumb is to refresh the design of your site every 3 years. Even a classic site needs to be updated on a regular basis. It’s good practice, remember your website is the window into your business’s soul. Let’s hope that the reflection is that of a business that is on the move forward and not one stuck in the past. Do any of these website issues resonate with you and your business? If it does, you know we are here for you. And we have 16+ years of experience and strategy to up-level your website into a beautiful, impactful and fierce marketing machine! 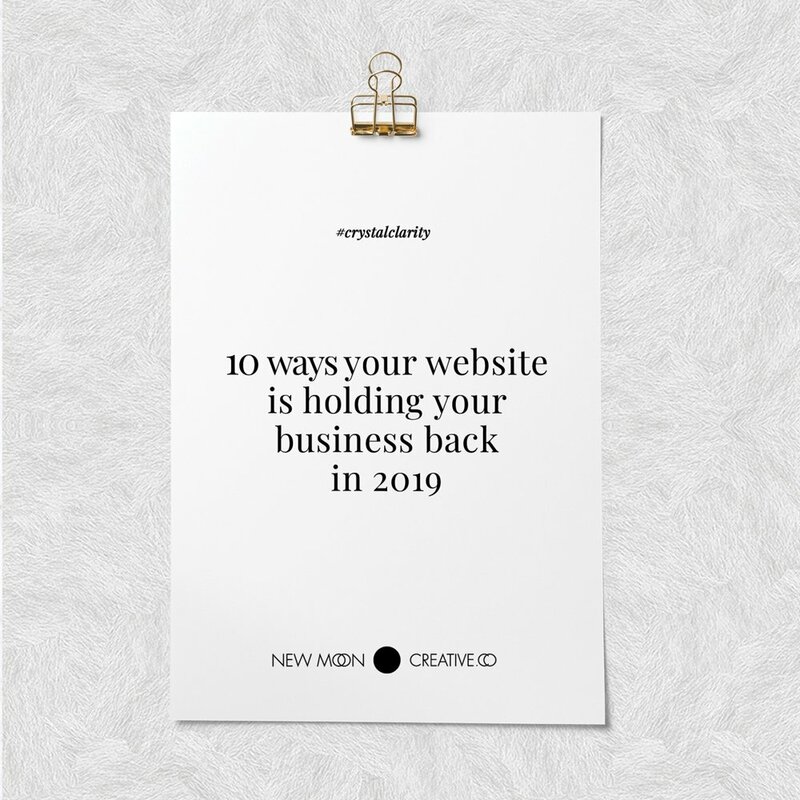 If you answer yes to any of the 10 ways your website is holding you back, you need to invest some effort in your marketing strategy and resources into up-leveling your website. You know we are here for you! We love designing and developing beautiful, impactful and FUNCTIONAL marketing and sales tools online. If you are ready to invest in a refresh or a complete remodel, all you have to do is contact me here to schedule a complimentary call with me to see what strategies you can implement so you can say bye bye to website shame.